Today we have loads of inspiration for you! Just take a look. 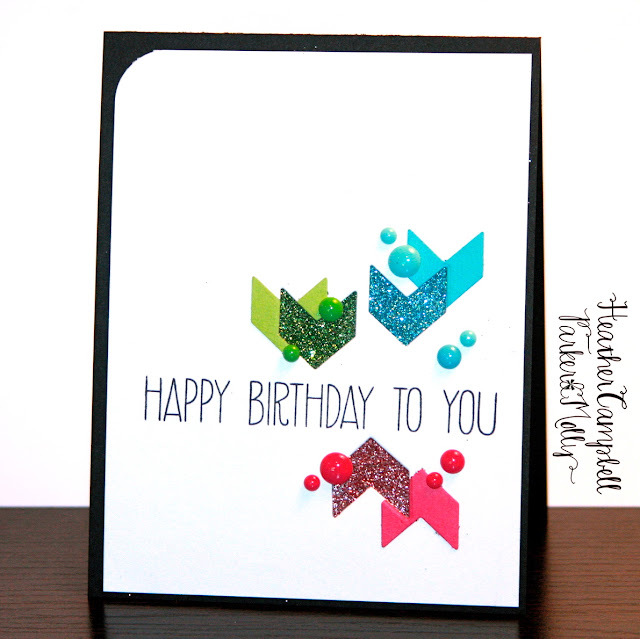 Heather created this card using our Chevron Border Elle-ments die and Handwritten Notes clear photopolymer stamp set. I LOVE her use of enamel dots, chevrons and glitter. This is such a happy and cheerful card! 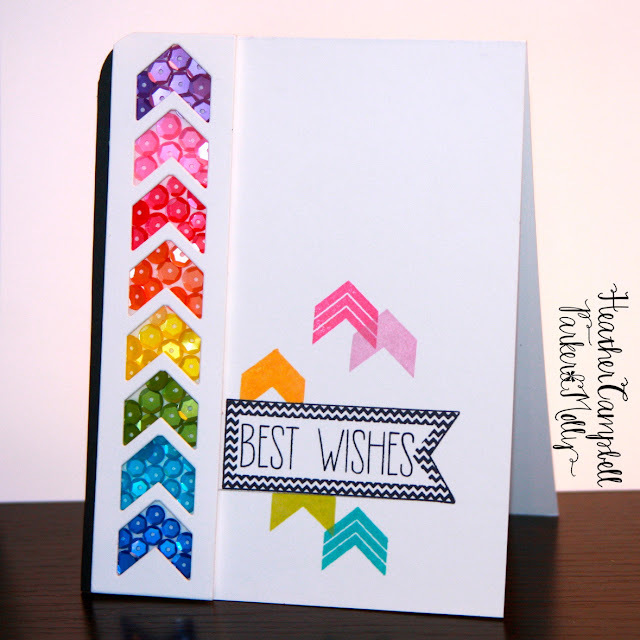 Heather used our blended sequin packs along with our To The Point clear photopolymer stamp set and Chevron Border Elle-ments dies to create this rainbow card. LOVE! 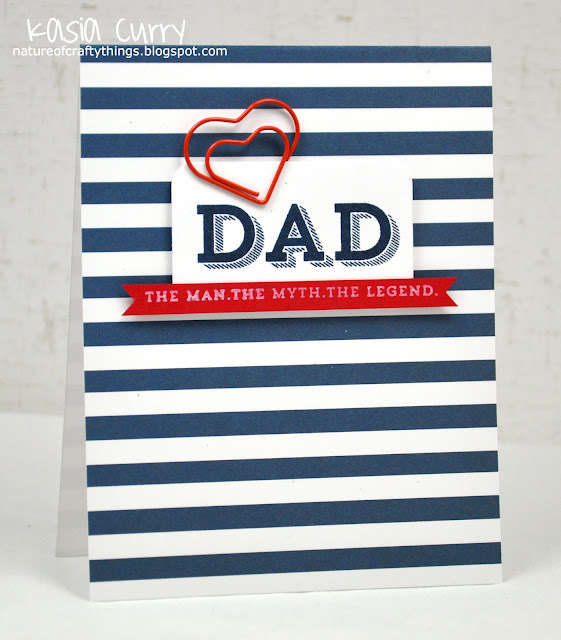 Heather shows how you can use our The Man stamp set to create for more than just Father's Day. She used this set together with our Celebrate clear photopolymer stamp set to create this festive card. You could give a card like this for any number of occasions! Chunyuan created this birthday card using both our Cupcakes and Count On It clear photopolymer stamp sets. What a great combination! Chunyuan also created this lovely birthday card combining the sentiment from All Occasion Tags and Cupcakes with stars from Celebrate. The two fonts that I used in Cupcakes is what inspired the whole set. I love that they take center stage here. I must say that I adore the watercolor in Chunyuan's next card. 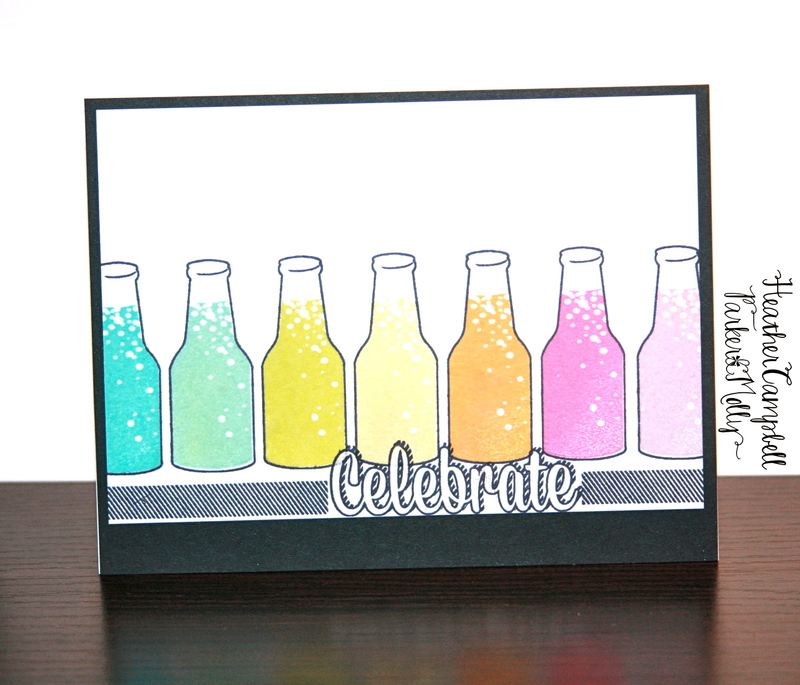 She shows how you can use just a few images from a stamp set to create a whole new look. You would NEVER know that these stamps were from a Cupcake set. So creative. I love it! Kasia created this bold and graphic card using our The Man clear photopolymer stamp set. The blue stripes against the smaller stripes in the sentiment along with the pops of red is perfection! This sentiment "The Man. The Myth. The Legend." is one of my favorites. It put a huge grin on my face to see it used here. 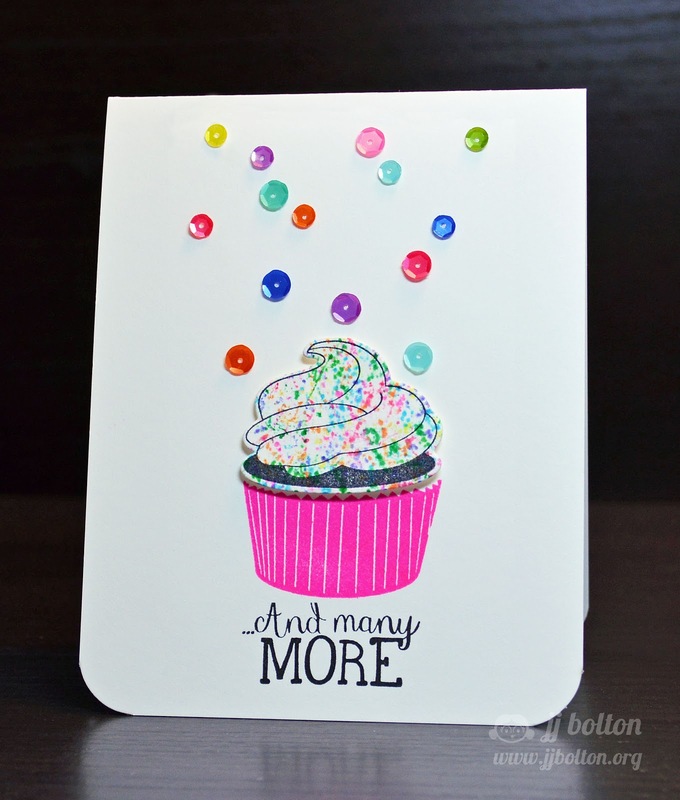 JJ created this festive card using our Cupcakes stamp set and our sequins. Just right for a birthday card! I love her sprinkled frosting. Yum! Be sure to check out her blog to see how she made it. I told you that we had a lot for you today! I hope that you enjoyed what you have seen. Be sure to stop by the ladies' blogs if you get the chance to let them know what you think. Thanks for stopping by to take a peek. Have a great day! I love them all! I can't wait for my order to get here. Your stamps are the best! What an inspirational group of cards! Great release. Love the Dad set. And LOVE Heather's sequined chevron card. Wow. Some serious WOW factor going on here!! :) Love all these cards!